New analysis by the National Rural Health Alliance reveals how few mental health professionals work in the country. There are just 2 psychiatrists for every 100,000 people in remote Australia, new analysis from the National Rural Health Alliance showed today. 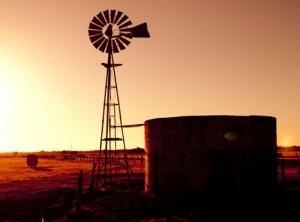 Mark Diamond, CEO of the National Rural Health Alliance, is calling for Australia to overhaul the way it trains and supports mental health professionals to boost numbers in rural and remote areas. “Rural Australia is not only short of GPs. All of the mental health professions are scarce,” he said. The new Alliance analysis compares the number of mental health workers in major cities and country areas. In major cities there are 120 psychologists/100,000 people. In very remote areas there are just 25 psychologists/100,000. For mental health nurses the split is 94/100,000 in cities, compared to 29 per 100,000 people living in very remote areas. Very remote areas include Bourke and Cobar in NSW, Ceduna and Kangaroo Island in South Australia, Kalgoorlie in WA, and Cunnamulla and Charleville in Qld. The National Rural Health Alliance analysis also reveals that Medicare spending on mental health is $52.42 per person in cities, and just $8.26 per person in very remote areas. The low number of mental health workers is forcing country people into hospital emergency departments. “Nearly twice the number of people in remote areas end up in emergency for a mental health issue because there is simply no one else to help them” Mr Diamond said. The Alliance welcomes recent announcements by the Federal Government to fund extra online and phone counselling services for country Australia. Overhaul the way mental health professionals are trained to both attract and retain them in country areas. Ensure they have additional generalist skills needed to address the unique needs of rural and remote Australia. Ensure rural and remote areas receive the same mental health funding per capita as major cities. Evaluate the effectiveness of current federal and state mental health programs. Ensure guidelines are used to decide whether or not telehealth services are appropriate.